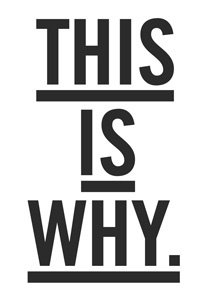 I titled Monday’s guest-post “This Is Why,” (If you haven’t read it yet, please do so. I promise it’s worth your time. Read it here) and it occurs to me I never alluded to the title in the post. I think that is worth revisiting. There were so many things that struck me about L’s story: Its similarity to our family’s journey. The role that hockey plays in his child’s development. His willingness to address his son’s emotional and social environment with the same level of concern as his academic one. 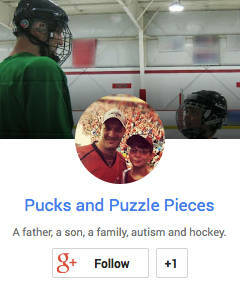 It’s a story I wouldn’t have known, nor been able to share, were it not for this wonderful online community. This Is Why … We are so grateful to have hockey in Ryan’s life. Participation in team sports has not been without its rocky moments, but the benefits: in socialization, in physical development, in added self-esteem, far outweigh the challenges. When Ryan struggles socially in school, we remind him that he is a well-liked and valued member of his hockey team, and it helps. This Is Why … It’s so important to look at the whole child’s development. Intellectual, developmental, physical, emotional, self-esteem, self-awareness, self-advocacy. All the academic support in the world won’t matter if the social piece doesn’t work. A successful social support network won’t prevent anxiety from sinking any chance at academic success if steps aren’t taken to mitigate it. Thanks again to L. for sharing his family’s story, and for being a part of this community for which I am so grateful.